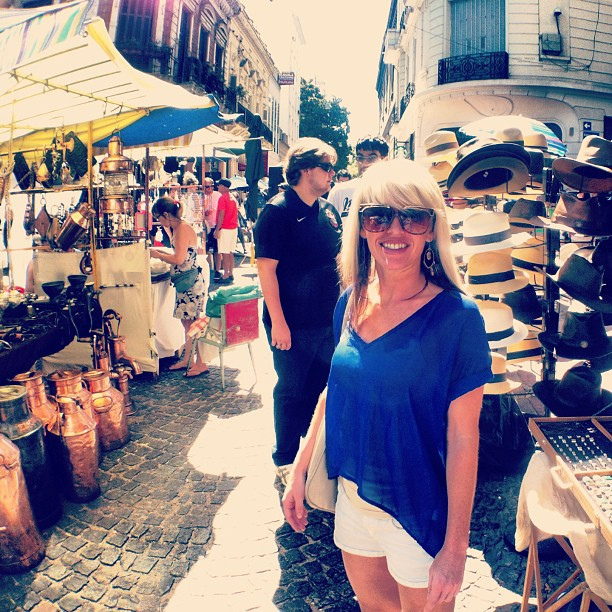 Scheduled to fly out at noon, we used the morning to visit the San Telmo flea market in BA (Open every Sunday from 10 to 5). From vintage dishes and teapots to silver and leather goods, this place was teeming with vendors selling their collectibles and antiques in a charming setting. After perusing the booths throughout the art deco market designed by Eiffel, you will also find Tango dancers performing on the street to live Argentine music. It was the perfect amount of street flavor to say goodbye to Argentina. 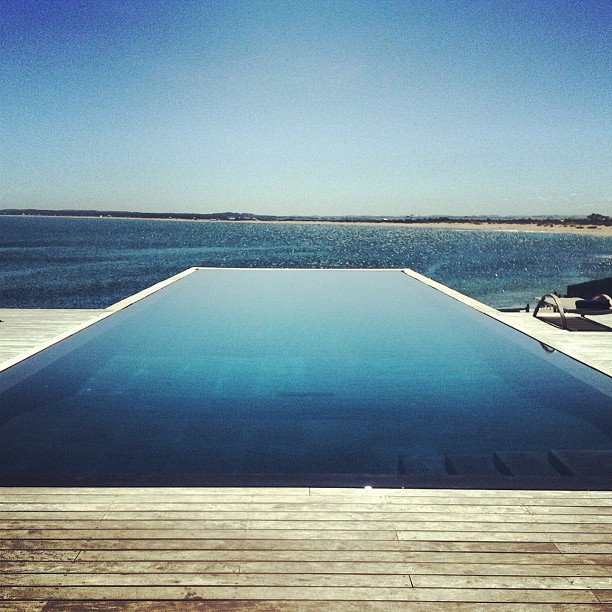 We arrived in Punta del Este, Uruguay and could immediately feel a change in the atmosphere. Punta del Este exudes a total beach town feel, which as former Florida resident, I love. It is a hidden gem to most Americans; I think they prefer it that way. The topography of the Punta del Este and Jose Ignacio areas consist of hills that line the beaches, creating a tiered effect of houses and hotels. My home for next few days is the stunning Playa Vik. I chose this property for several reasons: the insane infinity pool, oceanfront location, this part of the ocean faces west so you get spectacular sunsets, and finally, the Norwegian owner is an avid art collector which is reflected in the design and featured art/sculptures. 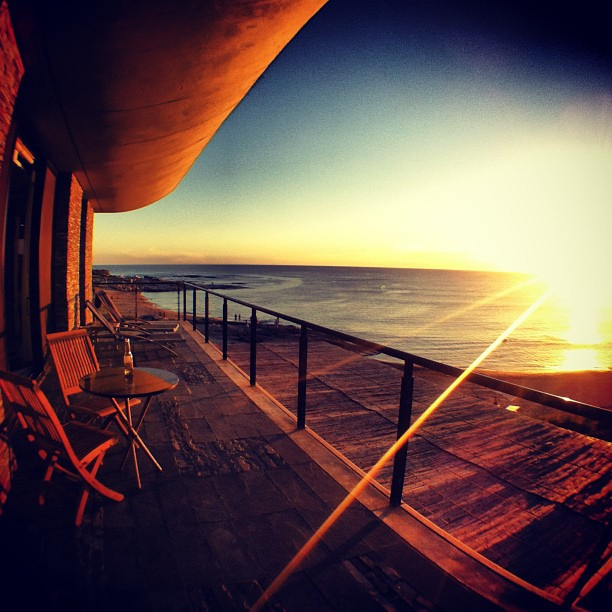 Upon check-in, the staff informed us that Maita had secured an upgrade to their finest suite -- a direct oceanfront room with an expansive sun deck. 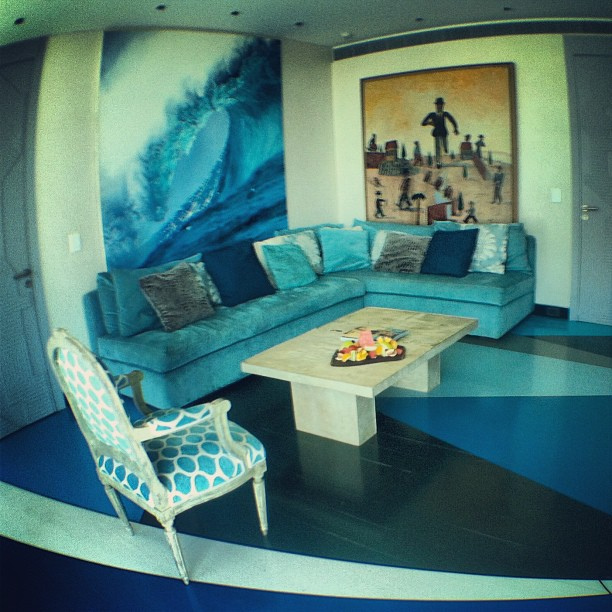 Appropriately named Azul, the suite contains various artwork, wall enscriptions, and colors that follow this theme. I had one agenda for the afternoon, which was relaxation, so that is exactly what I did. I put on some beach tunes, changed into my swimsuit and planted myself on the private sun deck. As I drifted in and out of consciousness, I enjoyed some people-watching. Sunset was the uncontested highlight of the evening, and everyone lined the beaches for a front row seat. Having one of the best seats in town, I didn't need to move a muscle from my perfect perch. Once the sun dipped into the ocean, the air cooled significantly. I changed into warmer clothes and headed to the main house of the hotel for dinner. 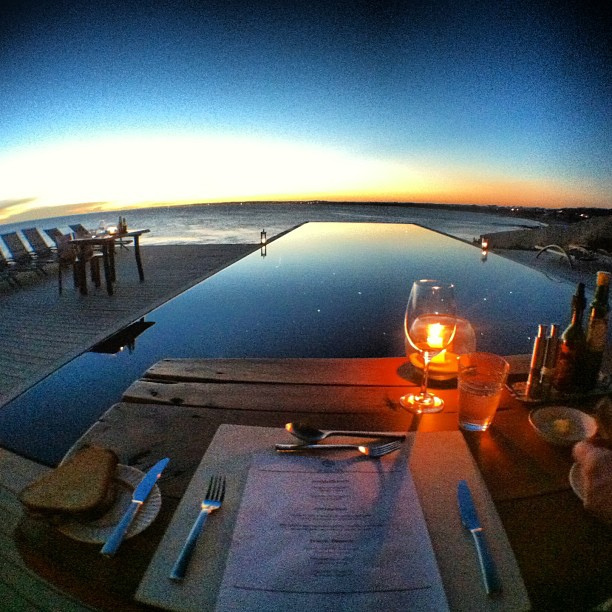 We received a prime table facing the ocean and infinity pool. LED lights within the pool twinkle like stars, casting an ethereal feel. Our sumptuous dinner consisted of ceviche, vegetable lasagna, ribeye with carmelized sweet potatoes and sea bass. An enormous amount of food, but every bite I could muster was delightful. Since the sun sets late at this time of year, it was 10:30 when we finished dinner. By that time I was ready to call it a night. Tomorrow, I meet up with Cataline, Maita's daughter who also works at her travel agency. We will be going wakeboarding and having lunch somewhere nearby. Another adventure awaits! Viewed 3895 times so far.